Does the afternoon ever come around, and you feel yourself drained of energy? FRS to the rescue! I'm not usually a huge fan of energy drinks. They just seem so unnatural, so I was very excited to give FRS a try. Originally developed as an effective way for chemotherapy patients to have more energy (love this! ), it is now used by athletes, nutritionists and anyone wanting the energy for a healthy, active lifestyle. 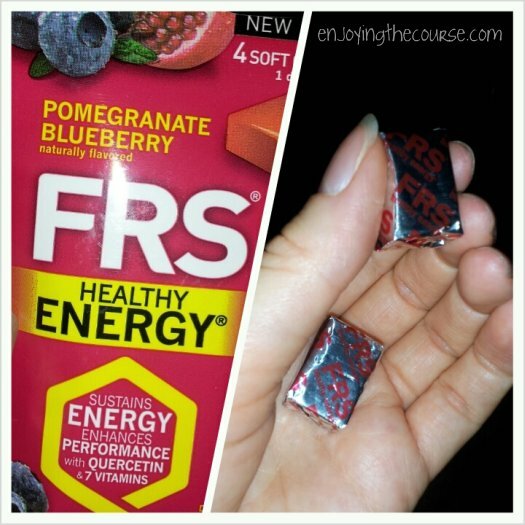 FRS is chock full of antioxidants, vitamins, and green tea extracts. One of its main ingredients is quercetin, which can be found in the skins of blueberries, apples, and grapes. Three of my favorite fruits. :) Quercetin has been found to provide sustained energy, increased endurance, and immune system support in multiple clinical trials. By avoiding lots of caffeine and sugar, FRS helps kick start your body's own energy-producing mechanisms. I'm all for that. You can find out lots of other great info on their website, but I know what you really want to know... HOW DOES IT TASTE?! FRS offers a variety of products. I was sent a sample of ready-to-drink beverages, chews, and powdered drink mixes. I LOVED the powdered drink mix. I tried the Orange flavor, and it was SO GOOD! Reminded me of Tang®. Drink of Astronauts! Made me feel all powerful and stuff. Bonus that it mixed really well, too. Oh, and it only adds 10 cal to your 8-oz bottle of water. Yum. Speaking of YUM, the chews were excellent, too. I tried the Pomegranate Blueberry. Very flavorful and great texture. Think Starburst®. But with lots of healthy vitamins. Whoo hoo!! Lastly, the ready-to-drink beverages. Honestly, the first couple flavors I tried weren't my cup o' tea. The flavor was ok, but I didn't care for the aftertaste. AND THEN I TRIED the Apricot-Nectarine. Next time you're feeling that afternoon slump it happens. even to us active, healthy folks. 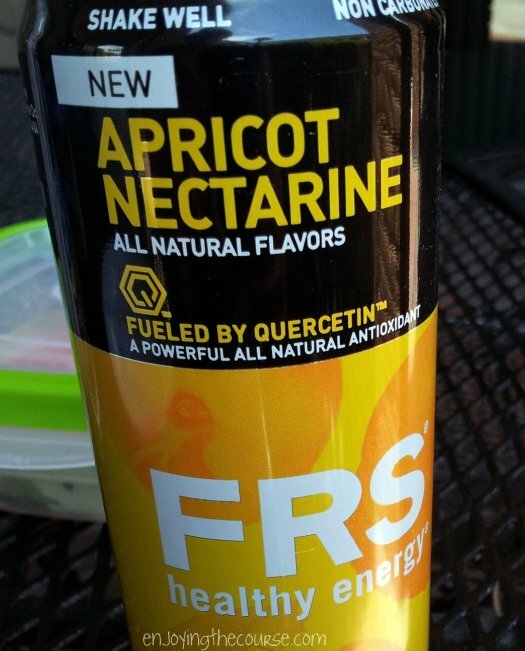 why not give FRS a try? It's available at GNC, Vitamin Shoppe, Kroeger, Whole Foods, Rite Aid, Meijer, Walgreens, Harris Teeter, and, of course, FRS.com. Click here for a downloadable coupon. Whoo hoo!! FRS has also been so generous as to offer YOU a chance to try out FRS for free. :) Can't beat that, right? Just enter below for your chance at an FRS trial pack. Would love to try the Pomegranate Blueberry Chews! I learned that FRS provides your body with natural energy derived from antioxidants, green tea and quercetin! I had never heard about FRS before reading your post. I loved reading about the origins of this product. The flavors sound great and I think I would love to try the chews. I learned there's no caffeine in it! i would love to try this!! sounds really good!! I have a hard time in the afternoons with controlling my snacking. Pineapple Mango Chews and love that it's made from real ingredients! I've tried the lemon lime chews, would love to try the pom blueberry!! 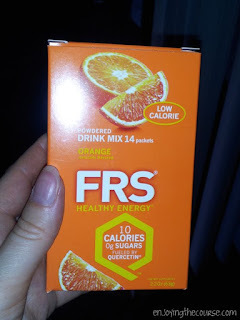 Hmmm, I've looked at FRS before but never tried it. I like the sounds of the flavors, though! I'd like to try the chews. I really dig the chews for runs. Pom Blue is a new flavor to me though so that'd be great! I learned that frs helps you sustain energy without caffeine!